KWA Construction’s biannual “Core Awards” ceremony is a fundamental part of our company culture. We take our values of integrity, empowerment, teamwork, personal development, quality relationships and work excellence, very seriously. Therefore, it’s important to us at KWA that we take time to nominate and show our appreciation to the employees who epitomize our moral company code. This summer we had many incredible nominations, but there were three team members who have shined extra bright in their dedication to making KWA the best it can be. Deb LaGreca and Greg Siewinksi pose with their Core Awards next to KWA President Brian Webster. KWA Office Manager Deb LaGreca was selected by her co-workers for a Core Award due to her ability to help in whatever way needed, no matter the task on a daily basis. She has quickly become the go-to person for anything needed in the office or field. She is a hard worker, self-sufficient and has the initiative to get her job done, and then some! Deb does all of this with a smile on her face and with genuine concern for the company and all of its employees. Team members say Deb’s positive attitude motivates everyone that works around and with her. An added bonus — she makes work fun! Holly Webster, Vice President of Administration, is a fearless leader at KWA. Co-workers nominated Holly for a Core Award because there is no better representation of our core values and her tenacious work ethic inspires everyone around her. She tackles every challenge and situation that comes her way, while also making the time to help any team member in need. Colleagues nominated Deb LaGreca and Holly Webster for Core Awards because of their commitment to exceptional work ethics. 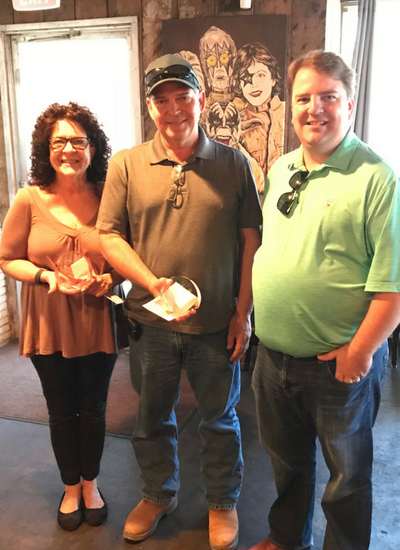 Congratulations to Greg Siewinski, Deb LaGreca, and Holly Webster! 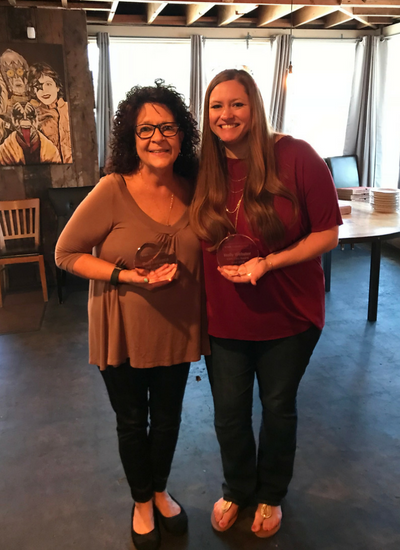 In addition to recognizing our amazing Core Award winners, we also recognized two other employees who have made significant contributions to the organization. Superintendent Victor Valenzuela was awarded for reaching his 10th year of service with KWA. Starting as a general laborer in 2008, Victor quickly moved up the ranks by becoming one of our go-to operations employees. Having worked on more projects than anyone else within our organization, Chairman Keller Webster said it best when he stated, “There’s no one better to serve in the trenches next to you than Victor.” He truly embodies the spirit behind our mantra “I AM KWA. 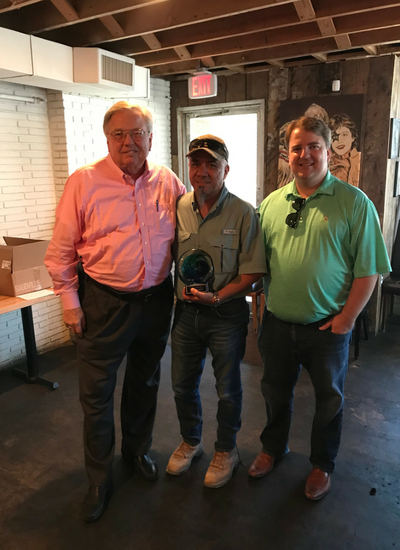 Victor Valenzuela proudly holds his “10 Years of Service Award” between Chairman Keller Webster and President Brian Webster. We ended the celebration by taking a moment to recognize our summer intern, Maria Guevara. This was Maria’s second summer working with KWA and while we didn’t think it was possible, she managed to outshine her own previous performance. Maria’s ability to learn fast has made her an invaluable asset to the KWA administration team. Maria will be transferring to Texas A&M at College Station this fall. She will be sorely missed, but we wish her all the best! 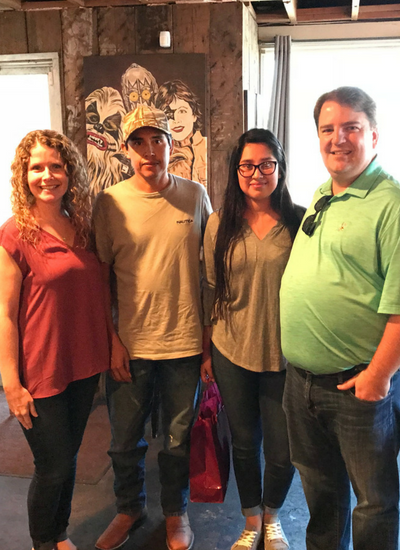 HR Manager Jessica Medlin, Maria’s father and KWA employee Leo Guevara, summer intern Maria Guevara, and KWA President Brian Webster thank Maria for a successful internship this summer.